Cape Town is a city of contrasts. Deep historical scars and divisions still exist in parallel with wealthy residents and international tourists. Despite this, the whole city keeps moving, with residents eager to live life to its fullest, to embrace the city’s natural assets, and to absorb its energy and celebrate their freedom. Movement Cape Town takes a look behind the city’s historical façades and presents a socially and culturally rich and diverse people, all shaped by centuries of movement. Editor Zahira Asmal underscores the city’s newfound post-apartheid freedom. Christian Ernsten, Bonita Bennett and Nick Shepherd explore the multiple historical layers that shaped the city. Saarah Jappie writes about the movement of language. Ilze Wolff’s chapter focuses on the modern movement in architecture. Rashiq Fataar, Bettina Woodward and Heinrich Wolff explore the spatial movements in both the planned and lived cities. Dylan Culhane and Malibongwe Tyilo present the contemporary city’s quirks, flows and connections. Trevyn McGowan demonstrates the depth of Cape Town’s creative movements in her chapter on the city’s maker movement, which also includes a comprehensive maker directory, and Jay Pather reflects on the Infecting the City festival and performance art in public spaces. Feminism and gender in the city is explored through different lenses – Dinika Govender writes on women cycling in the city and Laura Windvogel explores the theme through her specially commissioned artwork. Movement Cape Town presents the incredible history that Cape Town has overcome, while staying true to aspects of its heritage. Siona O’Connell presents historical photos of ordinary street scenes, noting their change through the decades of apartheid. Jade de Waal recalls the city’s culinary heritage and includes an enticing recipe for Snoek Bobotie, while Zahira Asmal recounts the difficult road travelled to democracy and social transformation in a compelling interview with Albie Sachs and Pumla Gobodo-Madikizela. 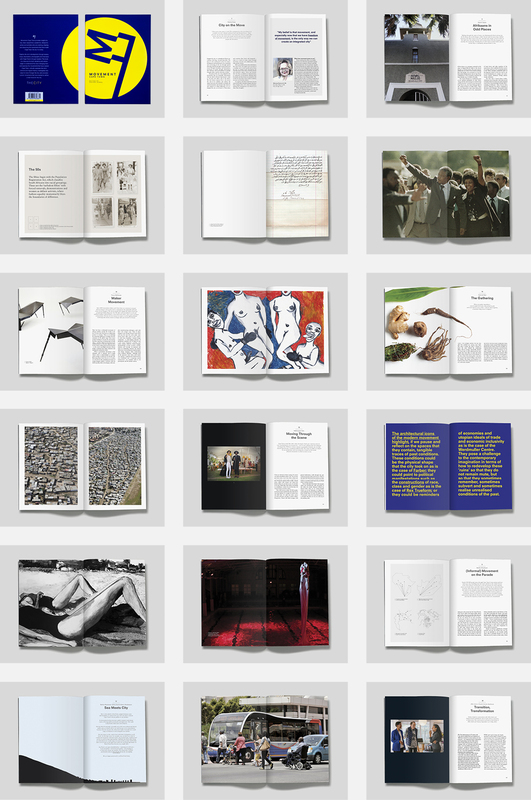 Movement Cape Town is unlike any book published on the city. Through observant, rich and deeply engaged pieces, the book presents the true depth and diversity of the city. An essential companion for visitors and a wonderful and compact reference for residents, Movement Cape Town captures a little slice of the city’s soul.